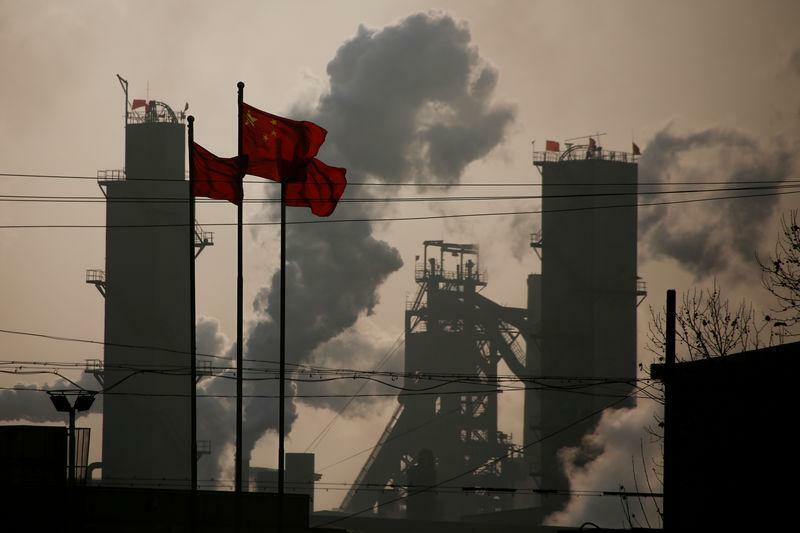 BEIJING (Reuters) - Activity in China's vast manufacturing sector shrank for the second straight month in January, pointing to further strains on the economy that could heighten risks to global growth. New orders -- an indicator of future activity -- pointed to further pressure ahead. The sub-index fell to 49.6 from 49.7 in December, the second consecutive month in contraction territory and reflecting persistently weak demand at home and abroad. Many firms scale back operations or close for long periods around the holidays, which begin on Feb. 4 this year. But workers, business owners and labour activists have told Reuters that companies are shutting earlier than usual as the trade war bites, with some likely to close for good. Many analysts say even a durable trade deal with the U.S. would be no panacea for China's exporters, noting demand has been weakening in other parts of the world, too, most notably in Europe. It kept its China forecast at 6.2 percent for 2019, but warned it could miss expectations if trade tensions drag on, even with Beijing's efforts to boost spending and bank lending. Some analysts believe Chinese growth could even dip below 6 percent in the first half -- from 6.4 percent in the fourth quarter -- before stabilising later in the year.